The editorial feature shines a light on up-and-coming young professionals working in sustainability inside large and small companies, as well as in the government and nonprofit sectors. The article, to be published June 3 on GreenBiz.com, will feature a diverse group from around the world. "GreenBiz’s ’30 Under 30’ has proven to be a significant opportunity to showcase the best of the next generation of sustainability leaders, and several of those featured in previous years already have parlayed the honor into new jobs and career opportunities," said GreenBiz chairman and executive editor Joel Makower. "We look forward to continuing to spotlight and accelerate the careers of young professionals who are leading the charge." WBCSD and BSR have both agreed to participate in the search to ensure a rich pool of diverse candidates from their far-flung global networks. Past “30 Under 30” honorees have come from nearly every continent and represent some of the world’s largest companies, including: Adobe, Apple, BASF, C&A, Cummins, Danone, Dow, EY, Eaton, FedEx, Gap, IKEA, Interface, JetBlue, Lexmark, Lockheed Martin, Morgan Stanley, Saint-Gobain, Salesforce, Skanska, Steelcase, Unilever and Wells Fargo. Honorees also have hailed from startups, NGOs and government agencies. 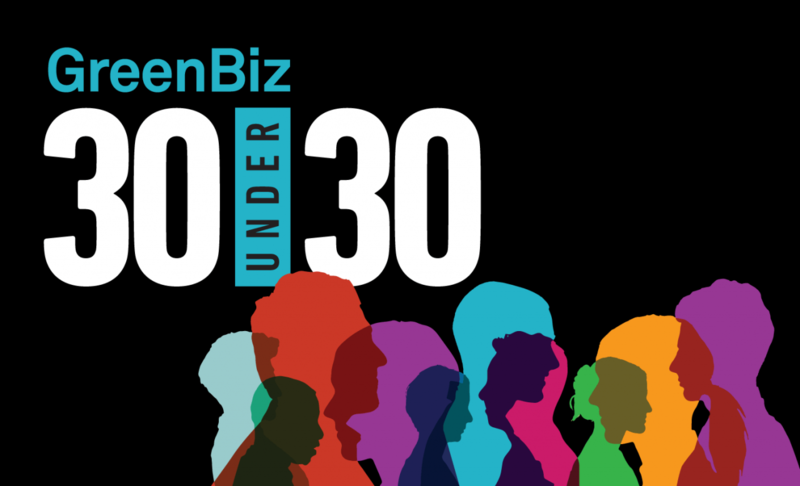 Nominations for the 2019 GreenBiz "30 Under 30" can be made at https://www.greenbiz.com/article/nominate. Individuals may nominate themselves, but will be asked to include at least one reference. The nomination period will extend through April 5, with the 30 honorees to be notified in May. The final selections will be made by GreenBiz Group, with nominations coming from readers as well as members of the GreenBiz Executive Network, the World Business Council for Sustainable Development and BSR, as well as from GreenBiz’s own staff and professional networks. BSR is a global nonprofit organization that works with its network of more than 250 member companies and other partners to build a just and sustainable world. From its offices in Asia, Europe, and North America, BSR develops sustainable business strategies and solutions through consulting, research, and cross-sector collaboration. Learn more about BSR’s 25 years of leadership in sustainability. Its mission is to work with business to create a just and sustainable world. We envision a world in which everyone can lead a prosperous and dignified life within the boundaries of the Earth’s natural resources.